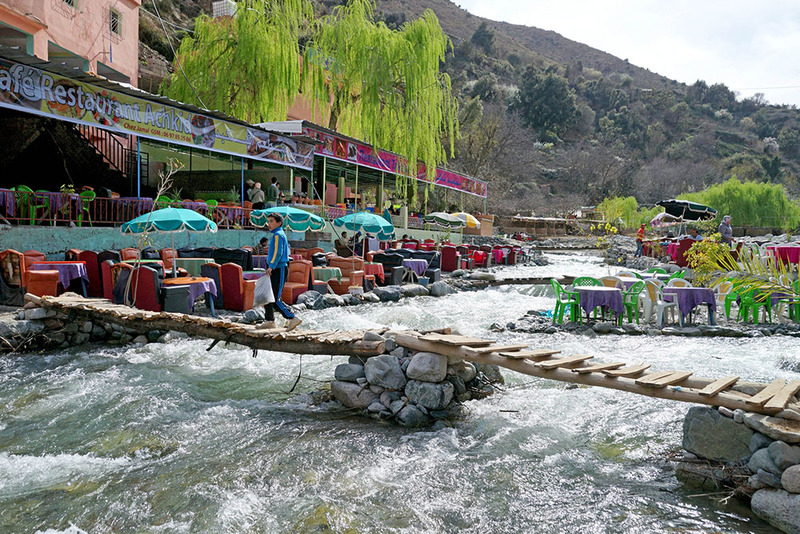 Valleys Berberes Hiking and 3 valleys you will discover the 3 valleys of the Atlas (Ourika Valley – Asni Valley – Imlil Valley) and will have the opportunity to stop in a Berber house for a cup of tea Traditional mint. We will pick you up at your hotel in Marrakech and will take you to an incredible day around the Atlas where you will discover the reality of Morocco. 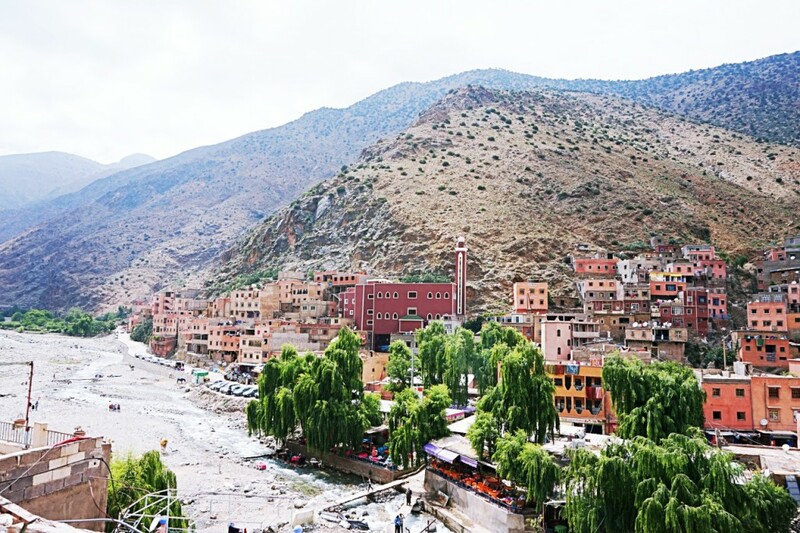 During this excursion, you will discover the valleys of the Atlas Mountains (Ourika valley – Asni valley – Illil valley) and will have the opportunity to stop in a Berber house for a Cup of traditional mint tea. From here you will have a beautiful view of the famous ski resort in Africa – Oukaimeden. 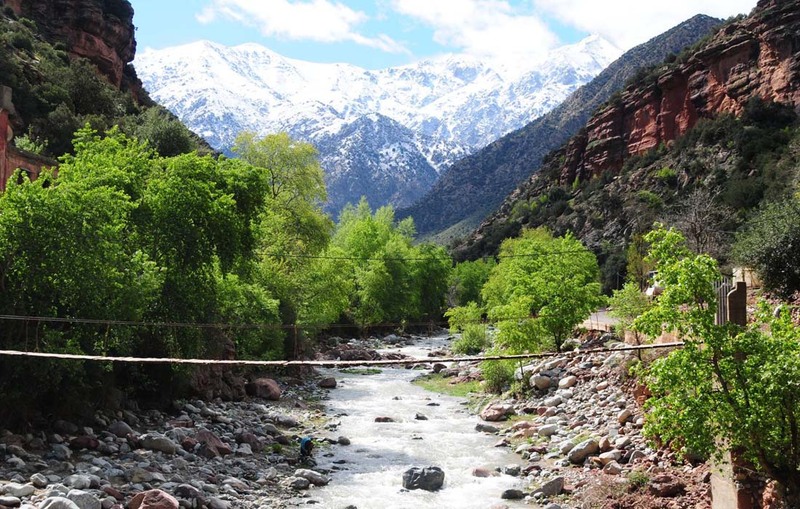 Then we will continue towards the Asni valley and we will reach Imlil where you will have a short walk at the foot of the Toubkal peak before lunch. 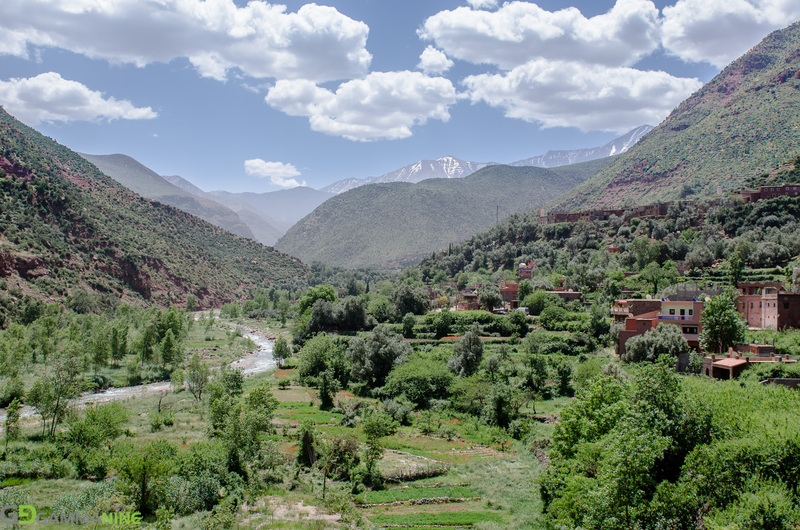 Later in the afternoon, we will take you back to Marrakech via Tahnaoute. INCLUDED: Pick Up From Your Hotel In Marrakech and Drop You In Hotel In Marrakech, Transport Private, Guide Speak English, Lunch, Mineral Water.